Hi there! 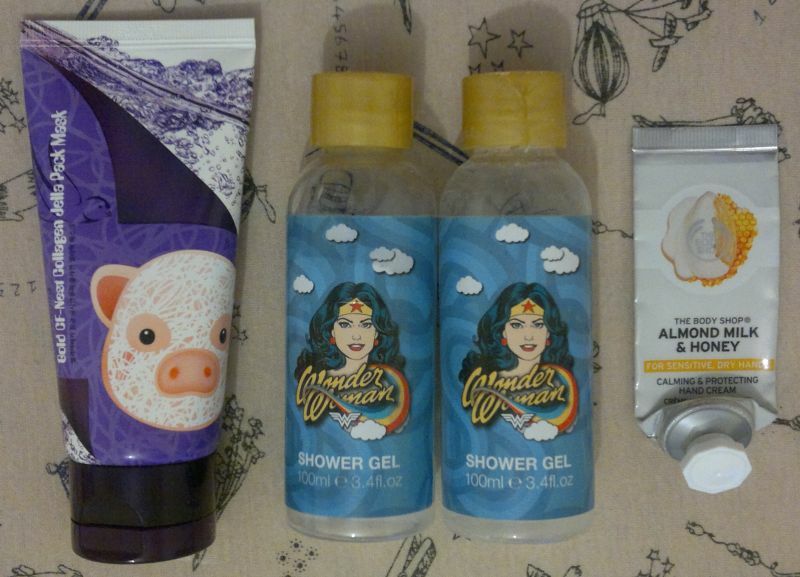 Today’s post is about all the products I emptied in November. First of all, I used a number of single-use face masks. 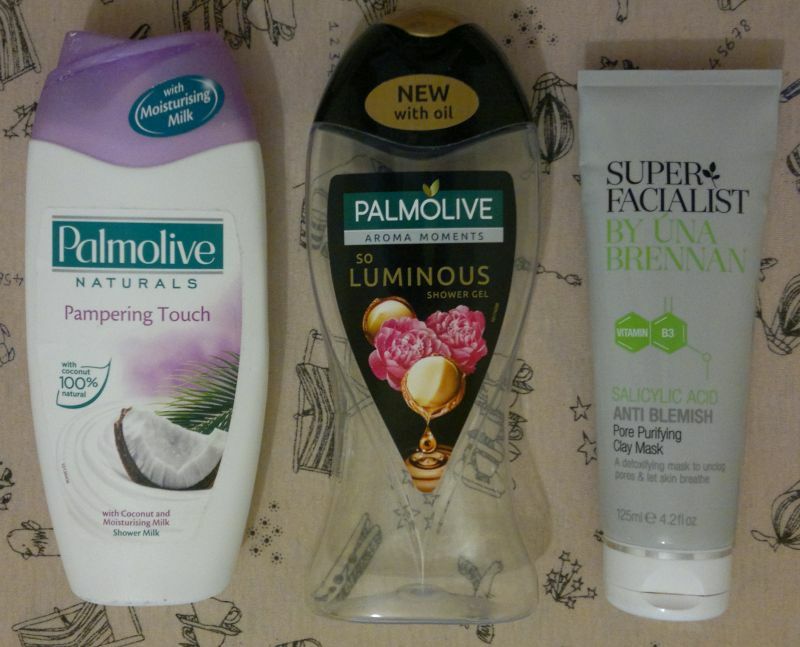 Whilst I don’t keep the empty sachets, you can read about my latest face mask finds if you click here. 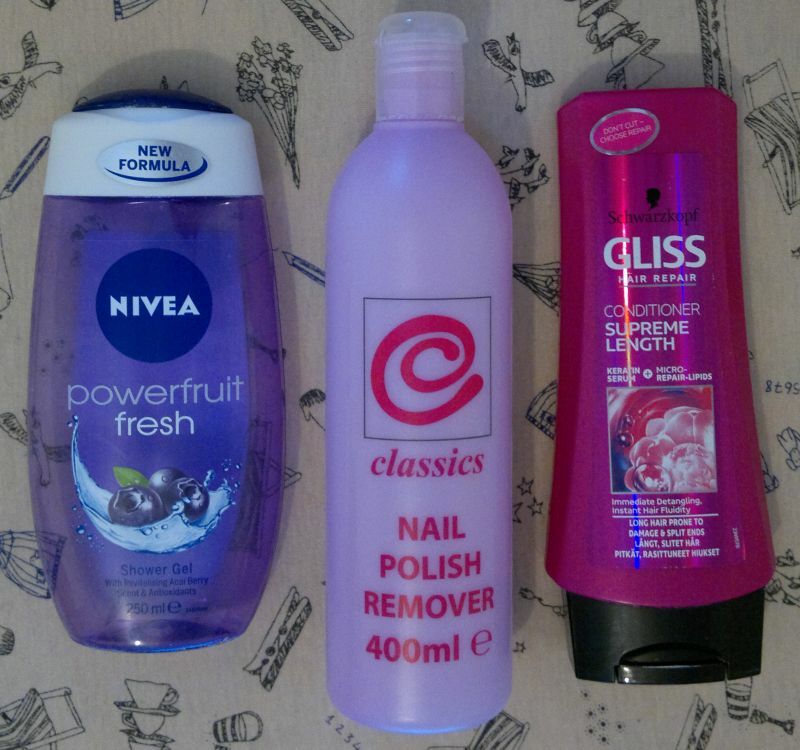 Now, let’s have a closer look at the big bottles and tubes! 1 Balance Active Formula Dragon’s Blood Eye Lift Balm – this eye cream hydrates skin nicely, but that’s about it. I don’t think I’ll buy it again. 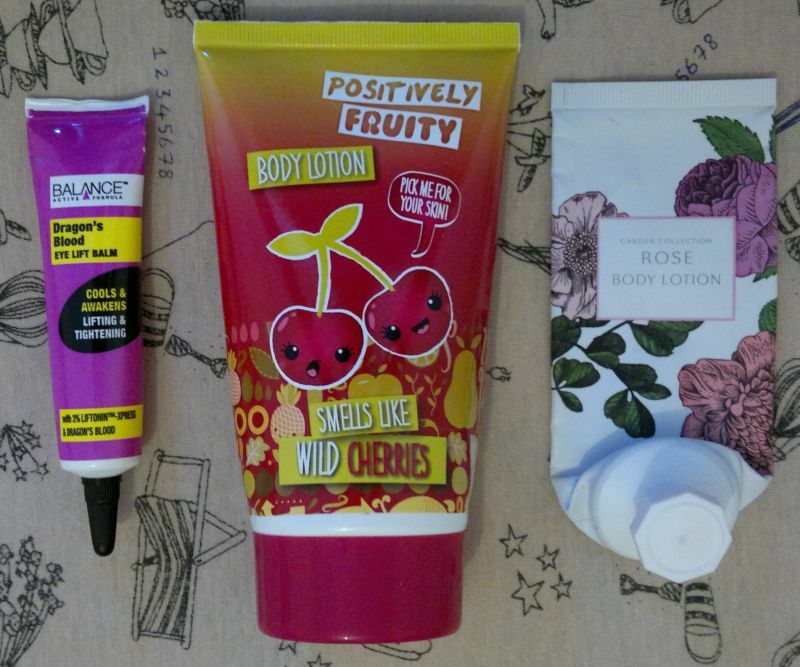 2 Positively Fruity Smells Like Wild Cherries Body Lotion – this is a shared empty. 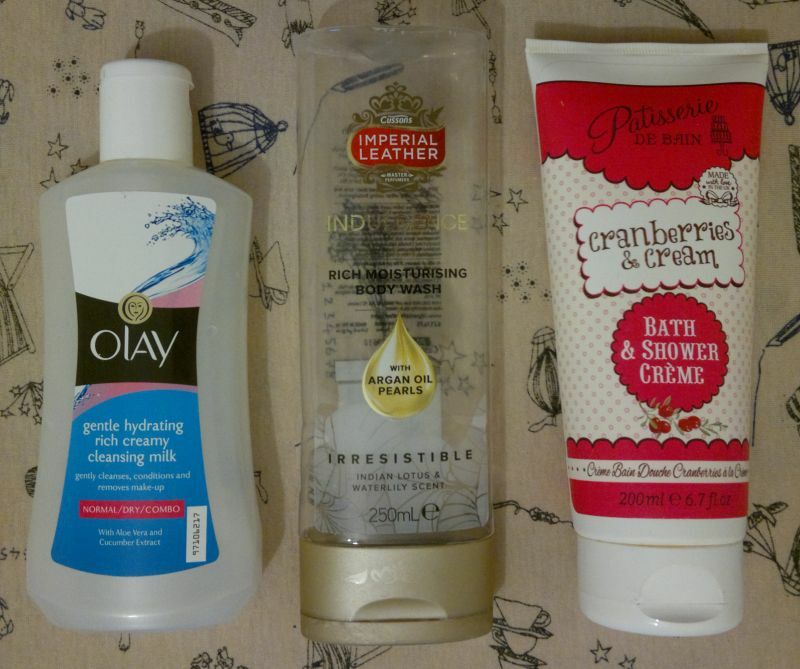 My husband and I used most of this body lotion as a foot lotion. I wouldn’t repurchase this product. 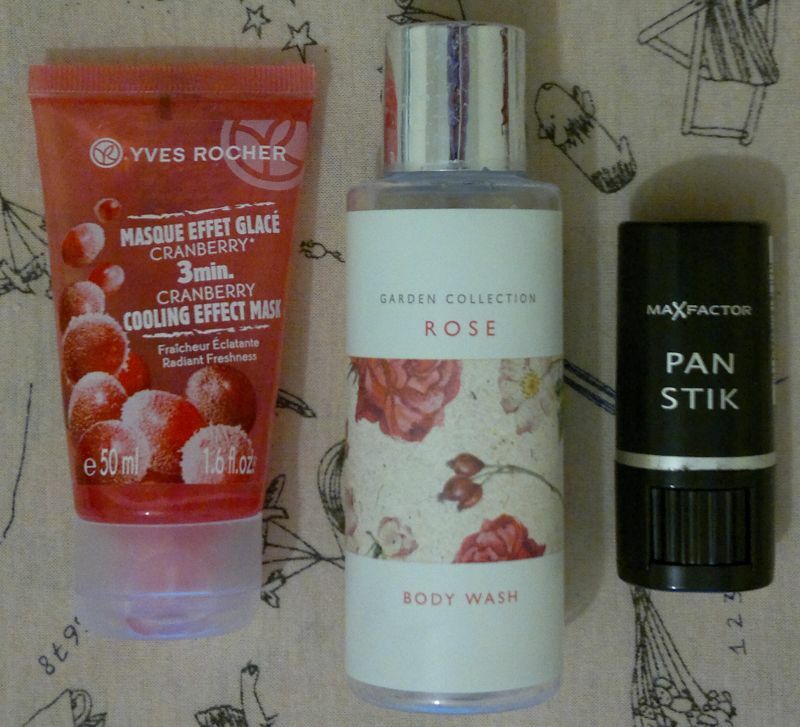 3 Boots Garden Collection Rose Body Lotion (travel size) – this is a decent body lotion. I have one more tube! 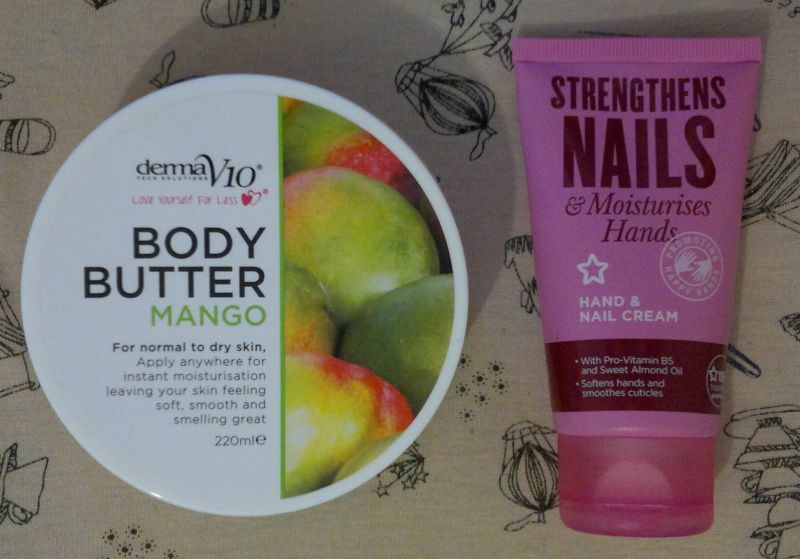 4 Derma V10 Mango Body Butter – this is a nice body butter. I might buy it again. 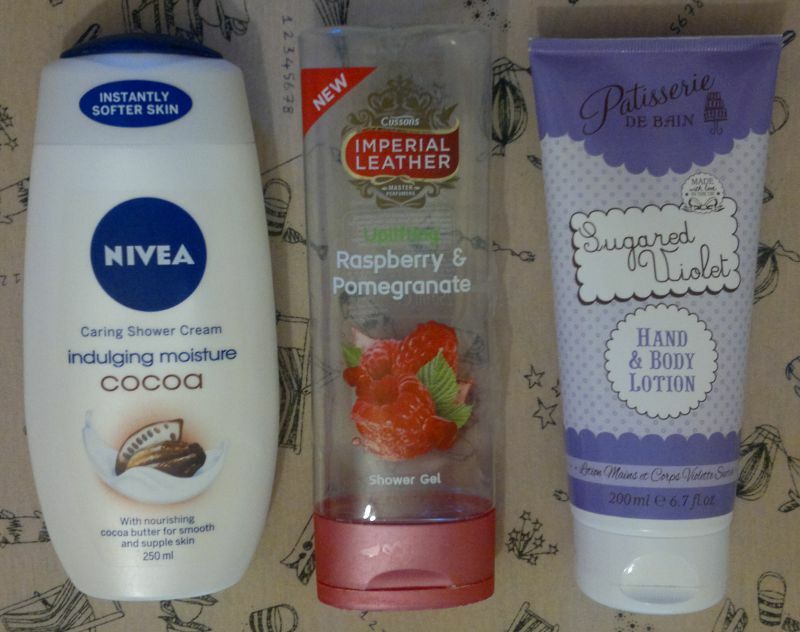 5 Superdrug Hand & Nail Cream – this is another shared empty. My husband and I used this hand cream as a foot cream. I wouldn’t repurchase this product. 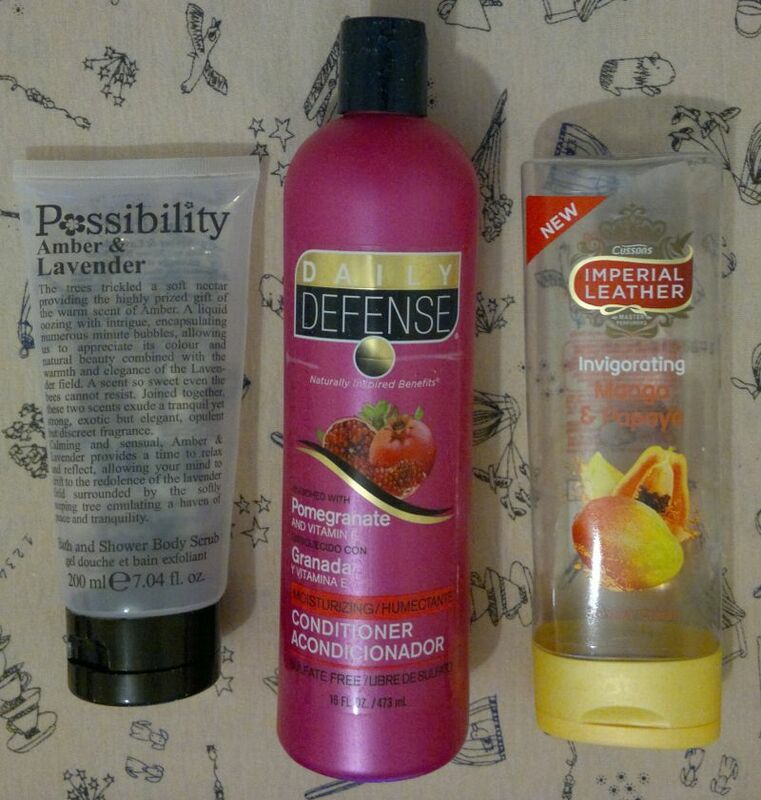 7 Daily Defense Pomegranate And Vitamin E Moisturizing Conditioner – another awesome hair product from Daily Defense. 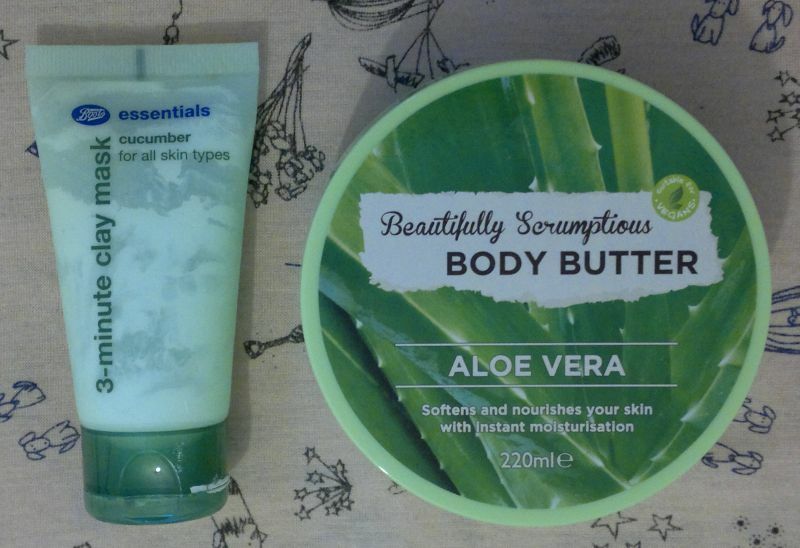 I’ll repurchase it, no doubt! If you’re wondering what happened to the matching shampoo… I like to use matching hair products, and whenever I finish a conditioner, I pass the leftover shampoo on to my husband. 8 Imperial Leather Invigorating Mango & Papaya Shower Cream – this is a great shower cream, and I’ll repurchase it soon. My husband used it too, so this is another shared empty! 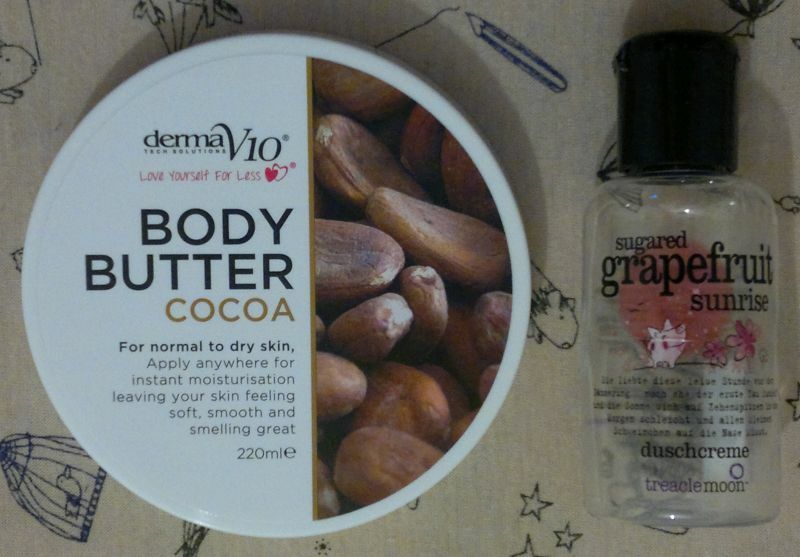 11 Superdrug B. 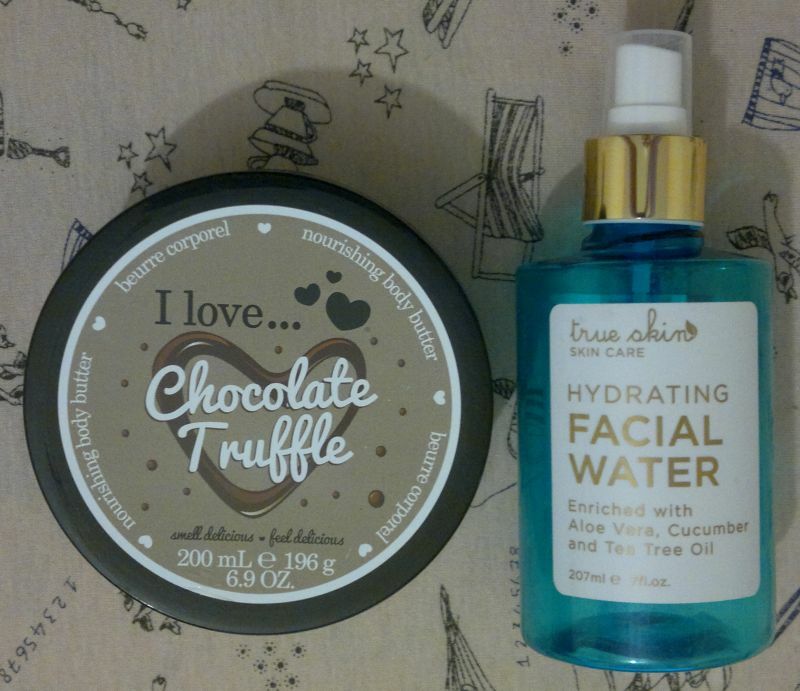 Confident Hyaluronic Acid Facial Spritz – one of my holy grail products! 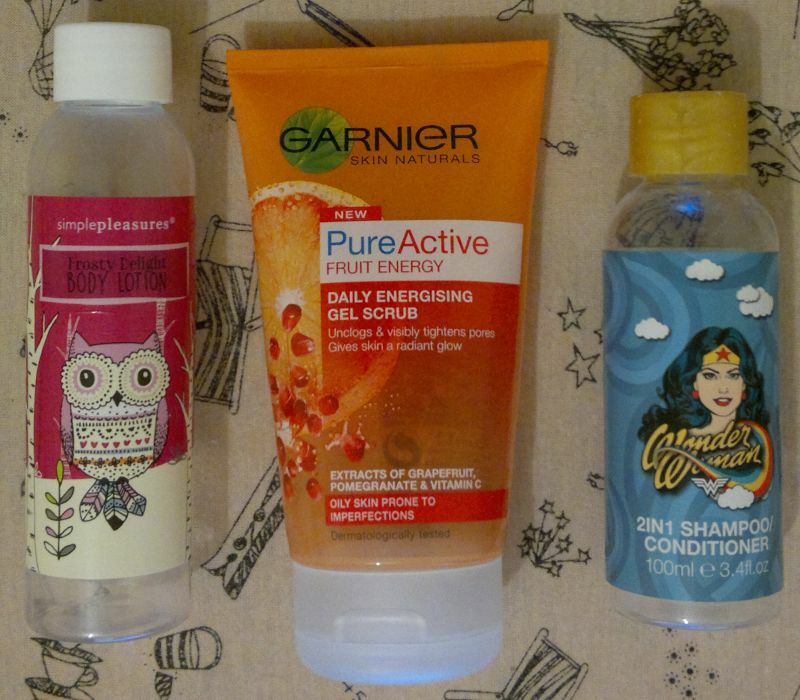 12 Garnier Pure Active Anti-Imperfection Cleansing Gel – this is a very effective face wash. 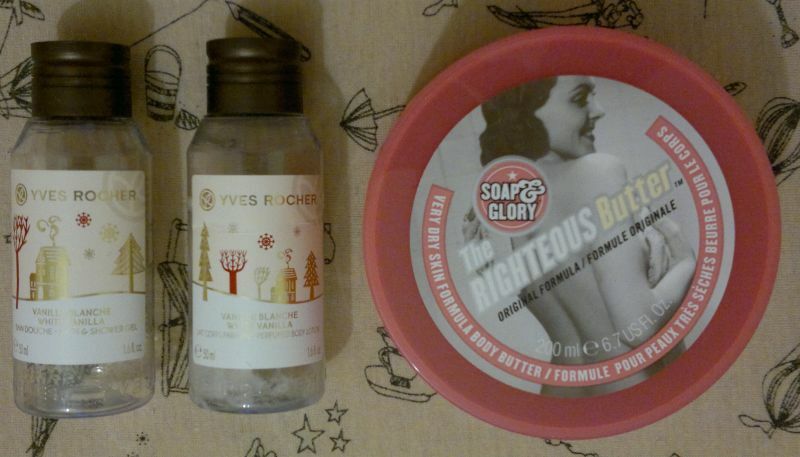 This is another shared empty (my husband enjoyed this face wash very much). If you’re looking for a simple product that gives your skin a proper deep cleanse, look no further! I can see myself buying this face wash again. 13 Superdrug Naturally Radiant Brightening Hot Cloth Cleanser – this is a nice and effective cleansing cream. 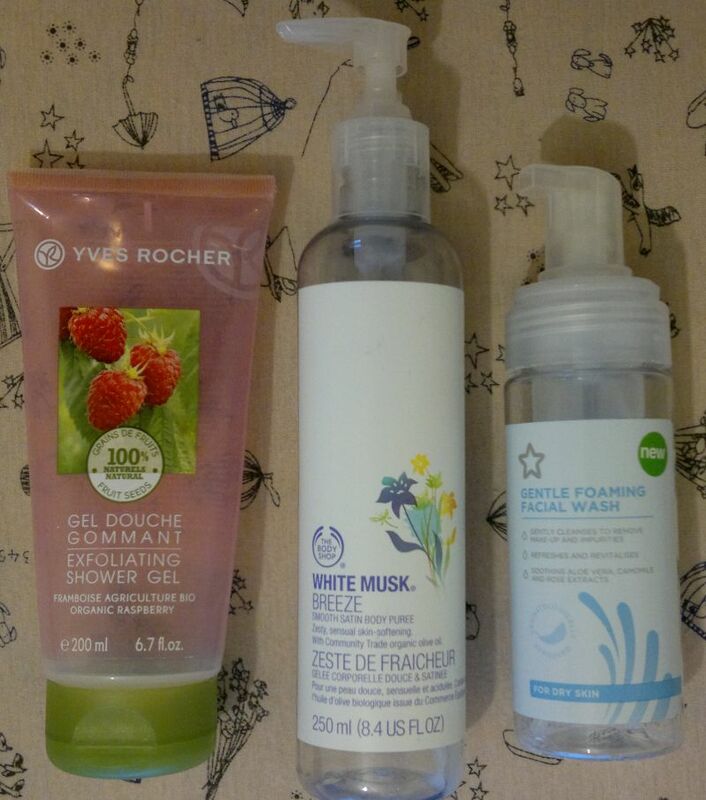 I’ve been happy with it, but I won’t buy it again any time soon because I have a few similar products in my stash, and I need to get on top of those cleansers first. 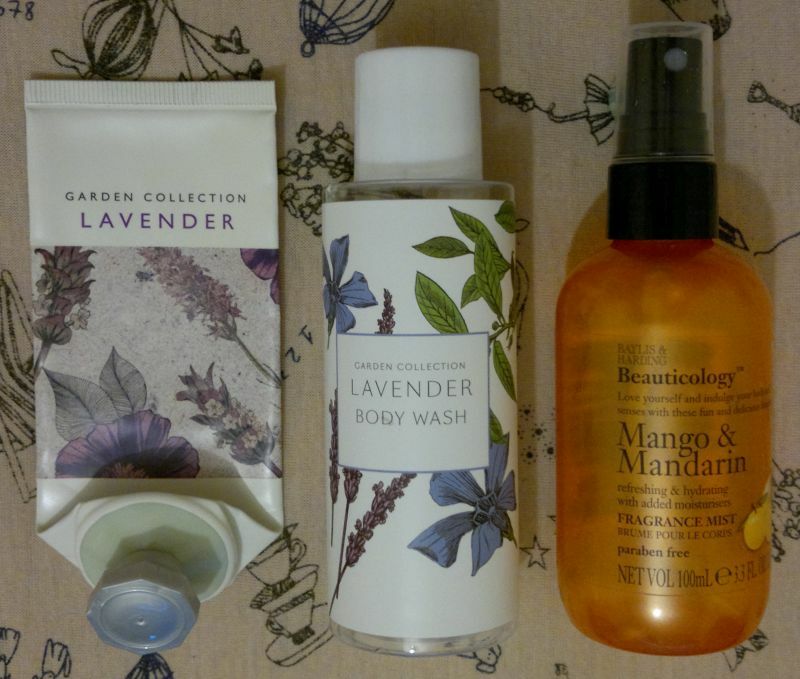 14 Boots The Garden Collection Lavender Body Lotion (travel size) – I think this is a great little body lotion. I have a back-up! 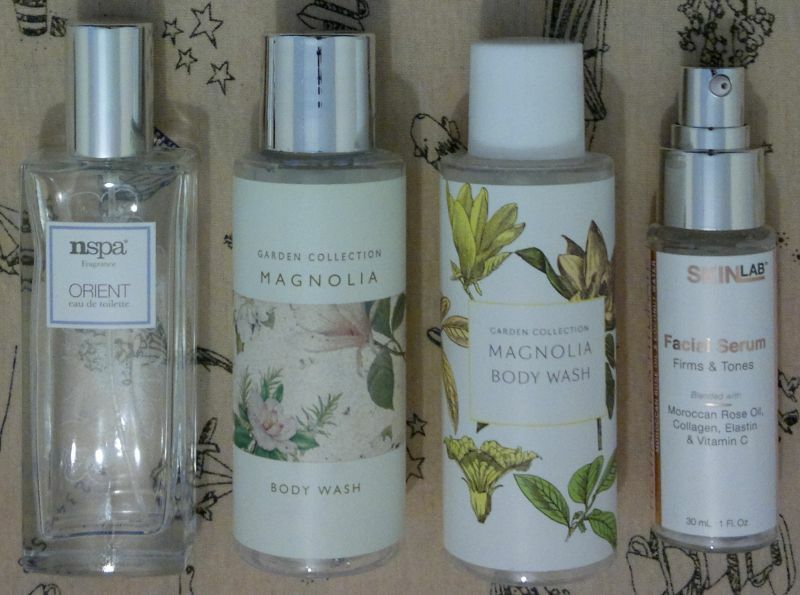 15 Boots The Garden Collection Lavender Body Wash (travel size) – this shower gel was really lovely. I have one more bottle! 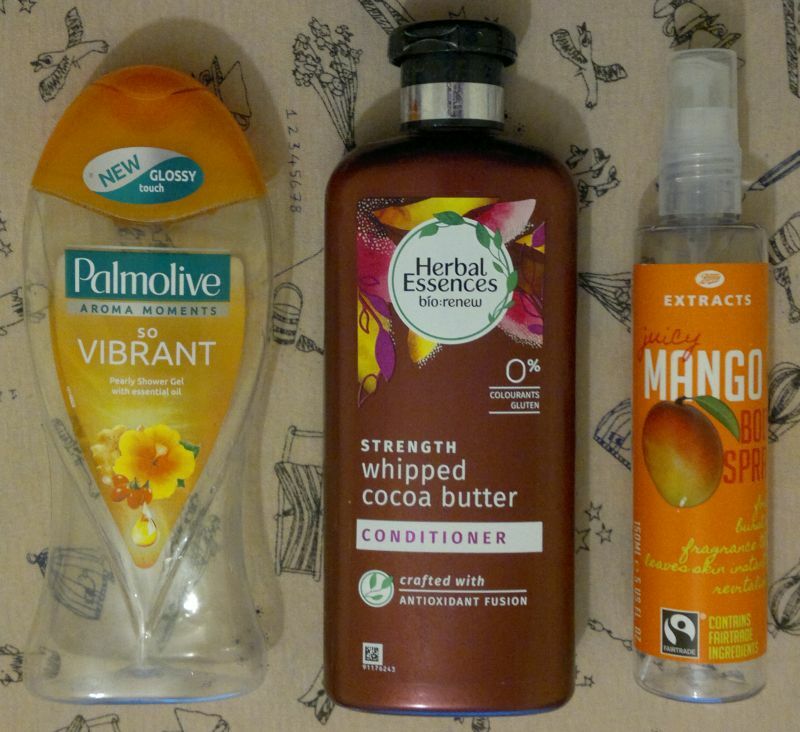 16 Baylis & Harding Mango & Mandarin Fragrance Mist – I enjoyed this body mist while it lasted, but it wasn’t special enough for me to buy it again. I’m happy with what I finished in November. 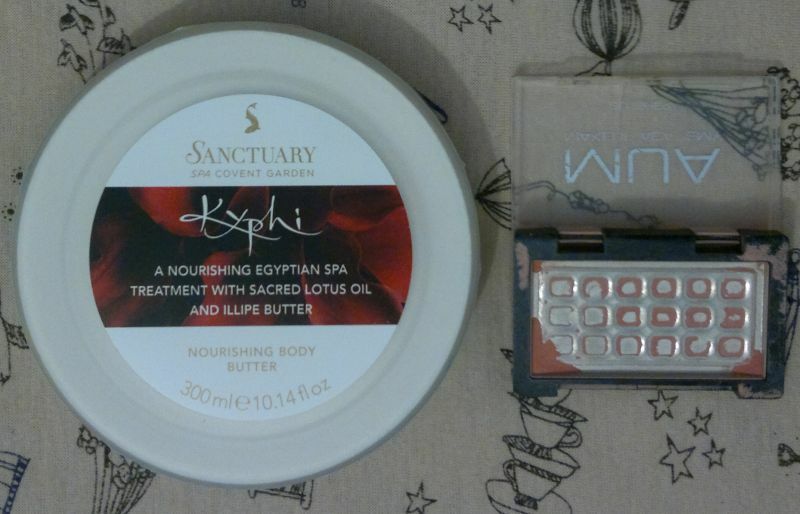 I said goodbye to a blush, I emptied a few travel-sized products, and I managed to finish several skin care products. Not bad, eh? 🙂 What have you finished last month? Feel free to comment. And thanks for stopping by! Hi there! 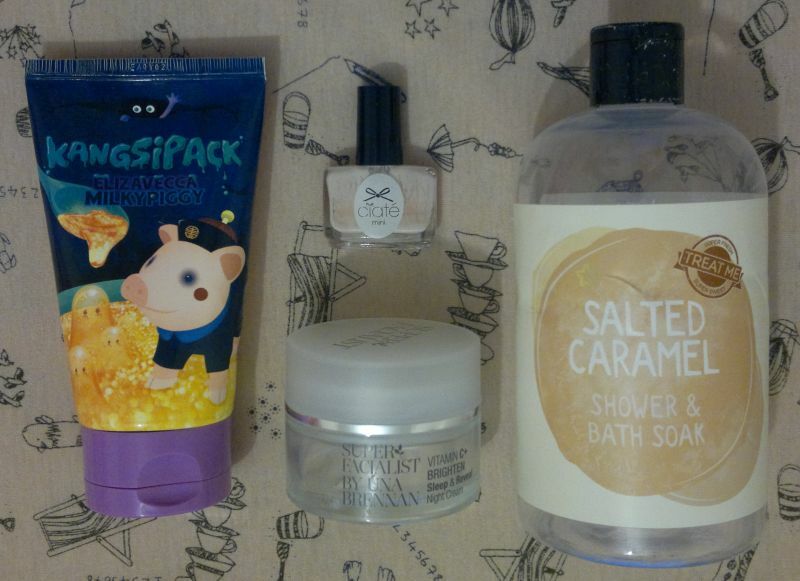 Today’s post is about all the products I emptied last month. As always, I used a number of single use face masks. 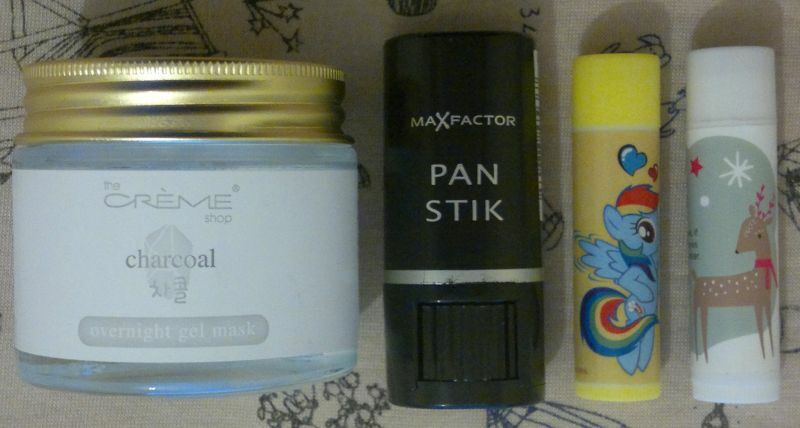 Whilst I don’t keep the empty sachets, you can read about my latest face mask finds here. Onto the big empties! 1 Olay Anti-Wrinkle 2 in 1 Instant Hydration + Radiant Glow – this is a lovely moisturiser. I have a back-up bottle! 2 Essence Black Eyeliner Pencil – my favourite eyeliner pencil! I have several more in my stash and in my rota! 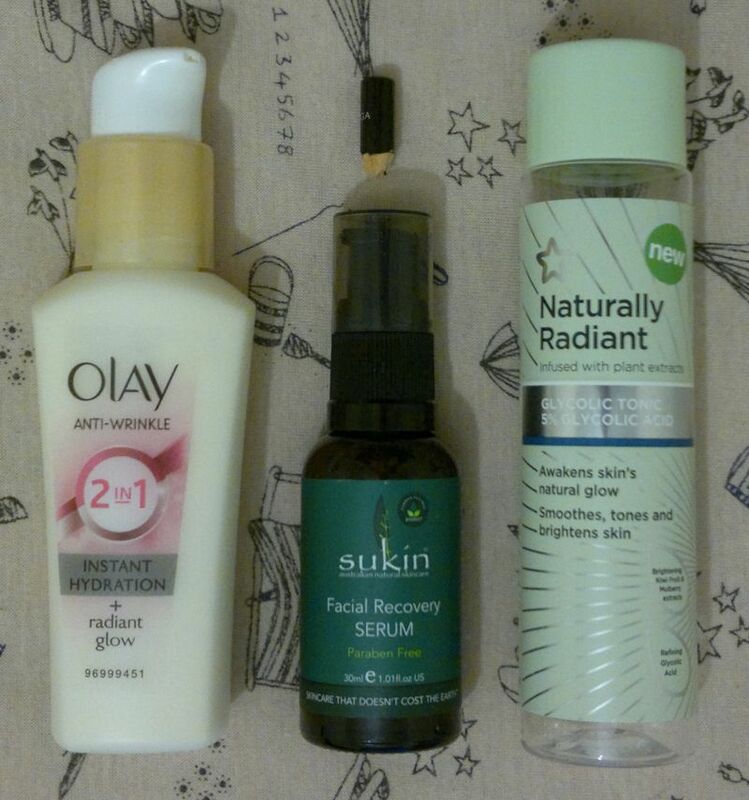 3 Sukin Super Greens Facial Recovery Serum – another great product from Sukin. I can definitely see myself buying this serum again. 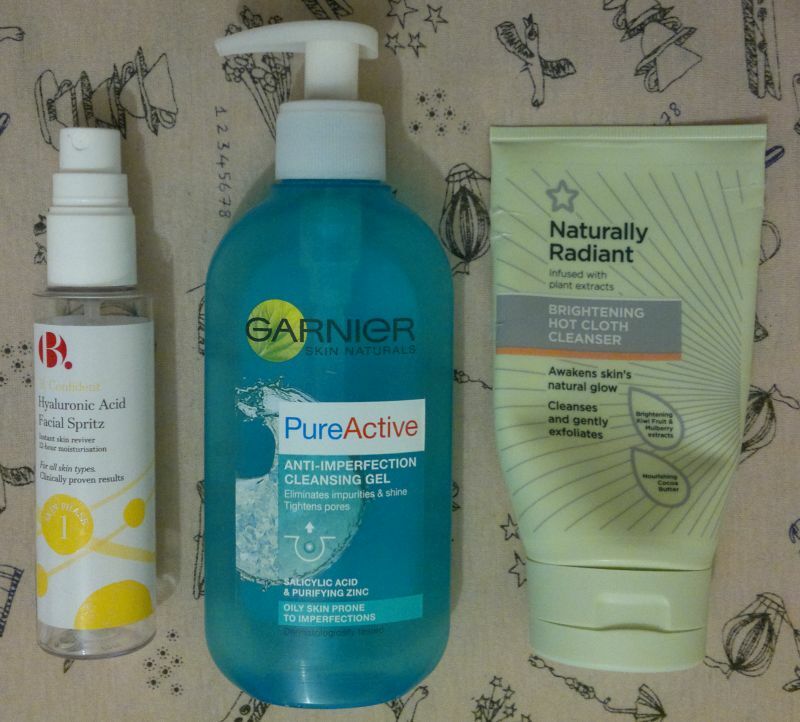 4 Superdrug Naturally Radiant Flycolic Tonic – this is one of my new holy grail products! 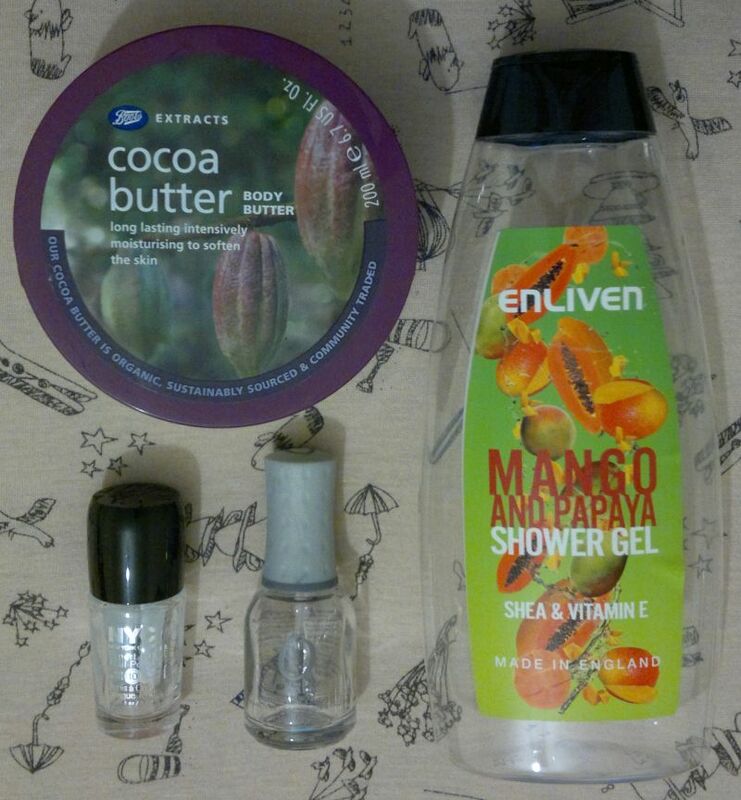 5 Nivea Waterlily & Oil Shower Gel – this is a lovely shower gel. My husband used it too, so this is a shared empty. I hope I’ll find it again somewhere. 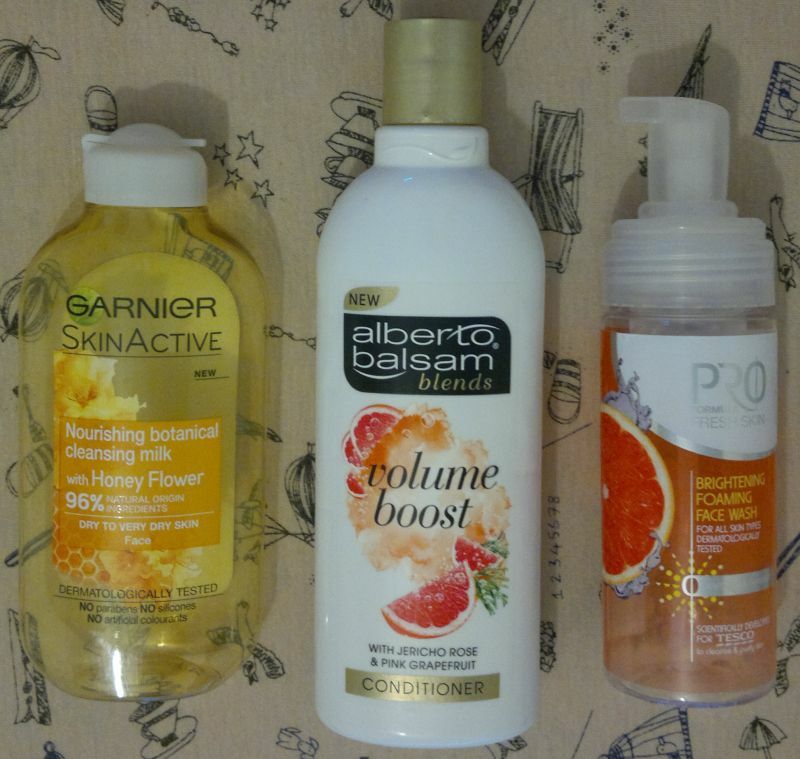 6 Herbal Essences Moisture Balance Conditioner – the best conditioner ever. 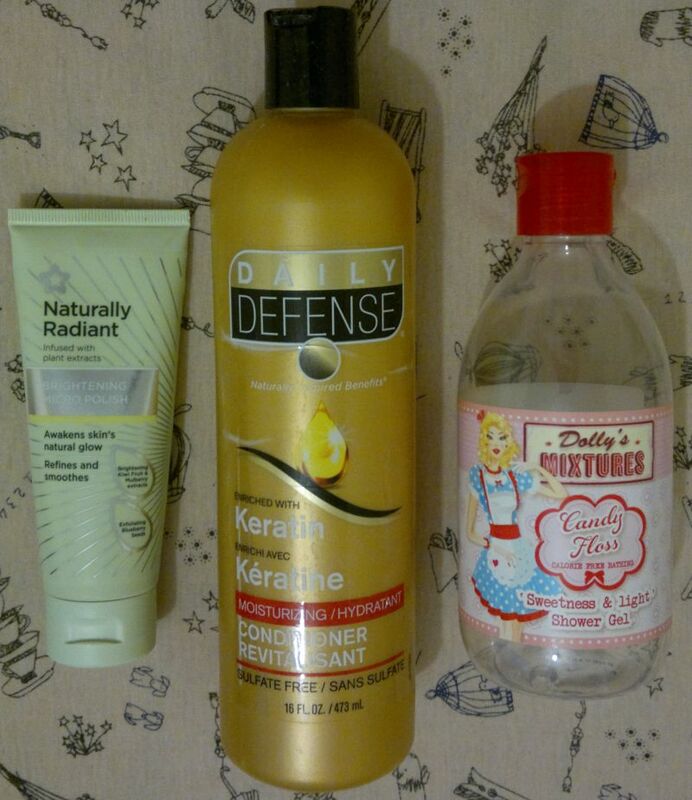 It’s been discontinued, but I have an impressive number of back-up bottles (shampoo and conditioner). 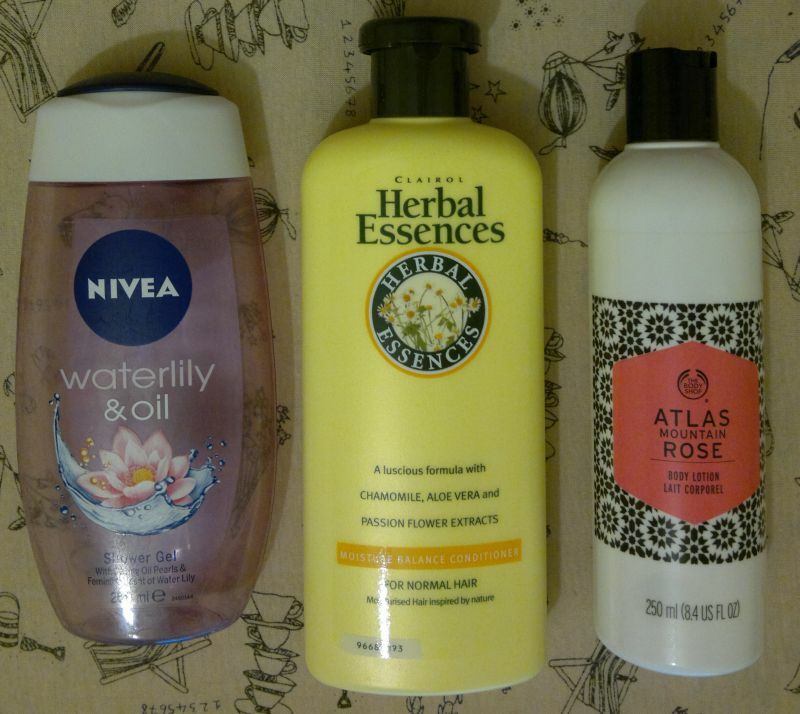 7 The Body Shop Atlas Mountain Rose Body Lotion – I enjoyed using this body lotion while it lasted, but I won’t buy it again. 8 The Crème Shop Detoxing & Renewing Overnight Gel Mask With Charcoal – whilst I liked using this product, I don’t think I’ll buy it again. 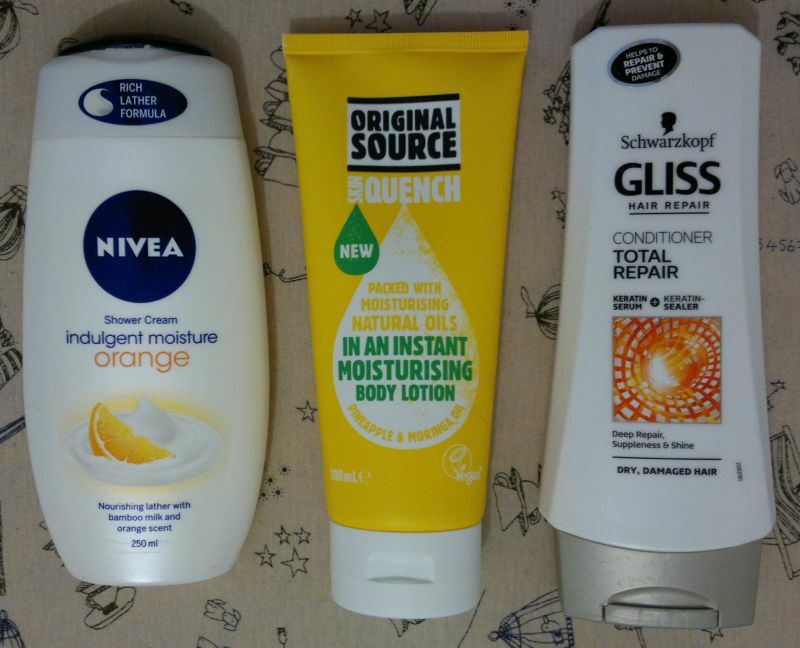 When the seasons changed, I noticed that I would need a more hydrating product for 9 months of the year. 9 Max Factor Pan Stik 25 Fair – this is my holy grail foundation! 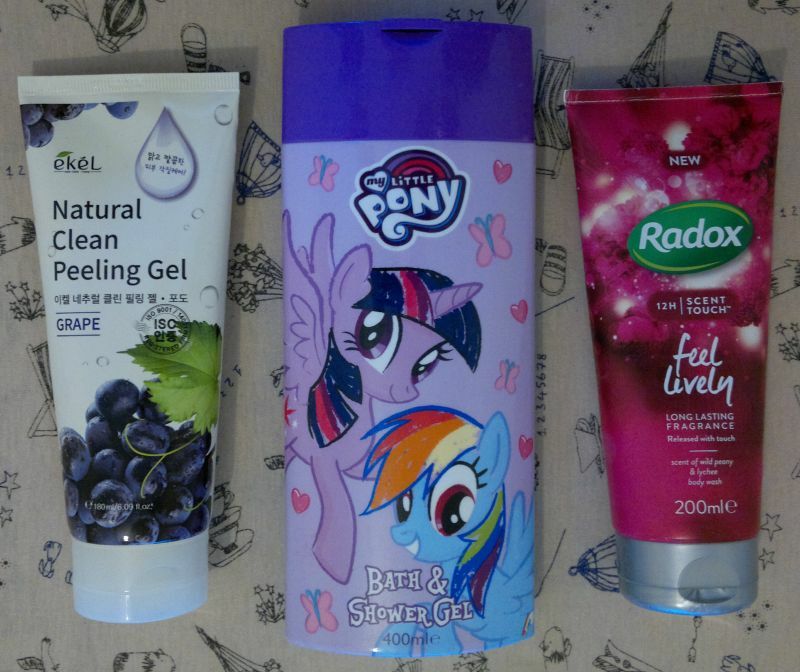 10 My Little Pony Strawberry Lip Balm – a nice lip balm. It’s very hydrating, and it has a fruity taste. I have a few more My Little Pony branded lip balms. 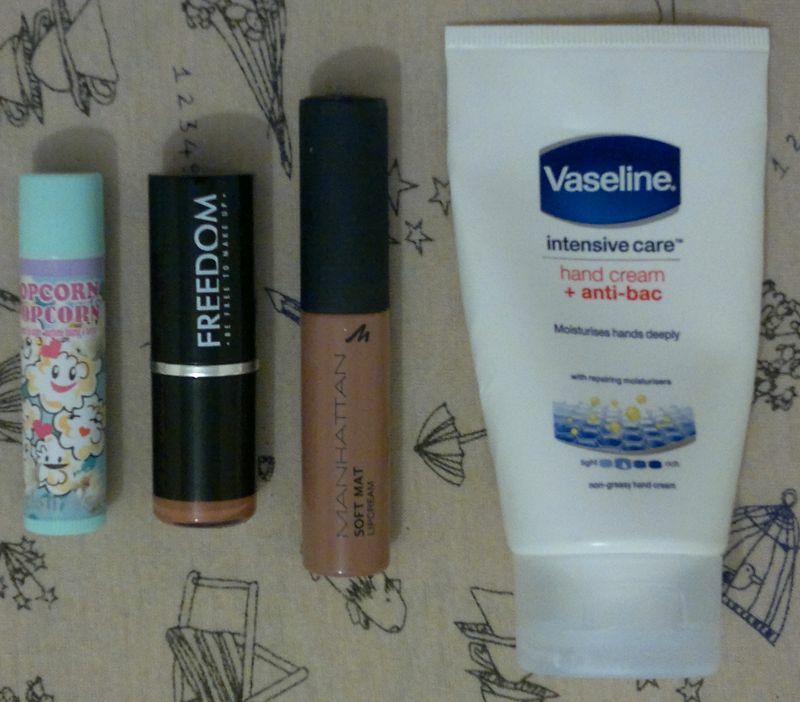 11 Superdrug Lip Balm – a nice vanilla-flavoured lip balm. I have a few more of these. 12 Ekél Natural Clean Peeling Gel With Grape – this is a truly awesome product. 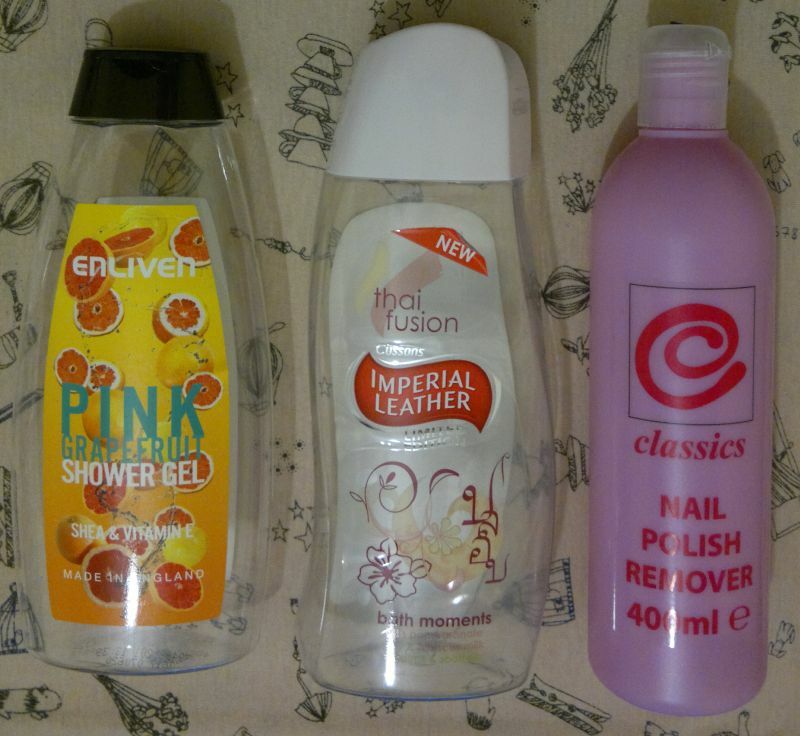 I have 3 more of these with different fragrances (apple, apricot, rice bran). 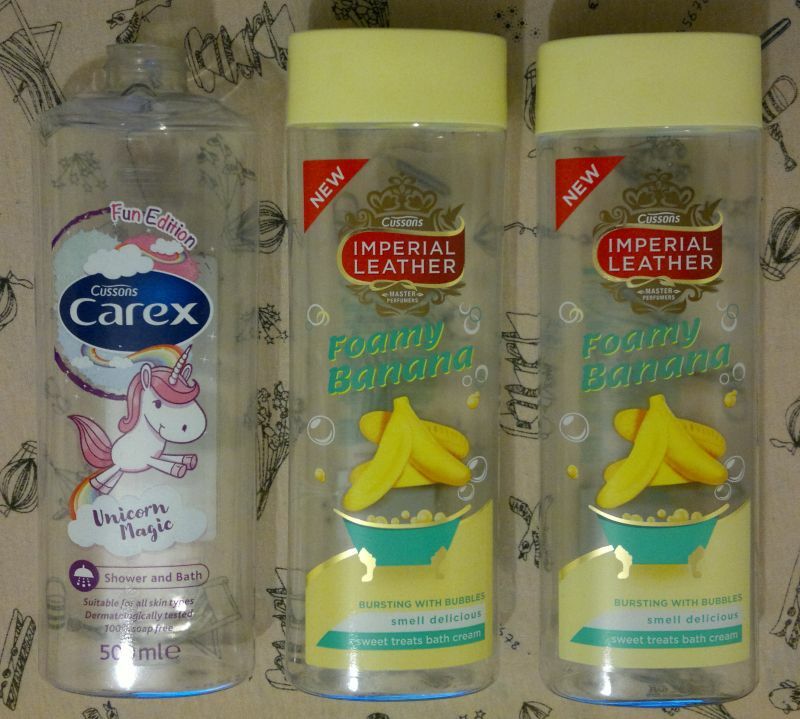 13 My Little Pony Shower Gel – a nice shower gel. 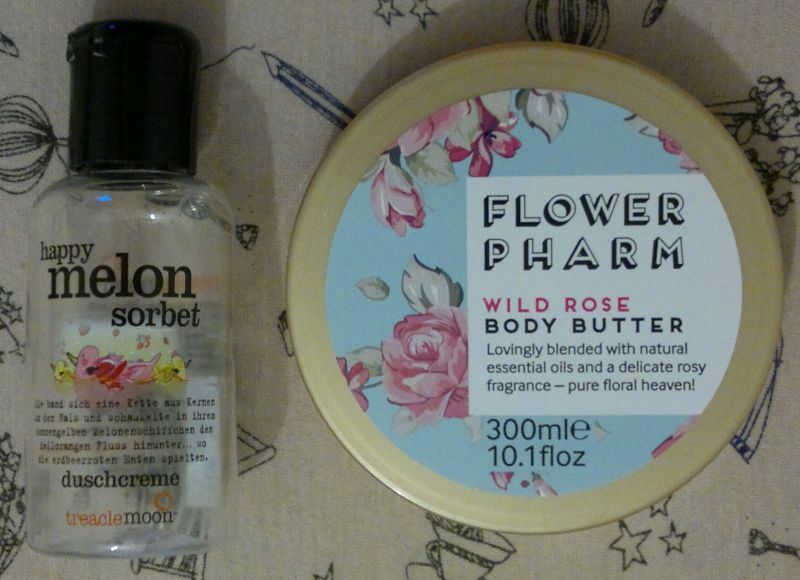 The melon fragrance is lovely. I might repurchase it at some point. 14 Radox Scent Touch Feel Lively Body Wash – I don’t like the fragrance of this one very much. I managed to use it up but I won’t buy it again. 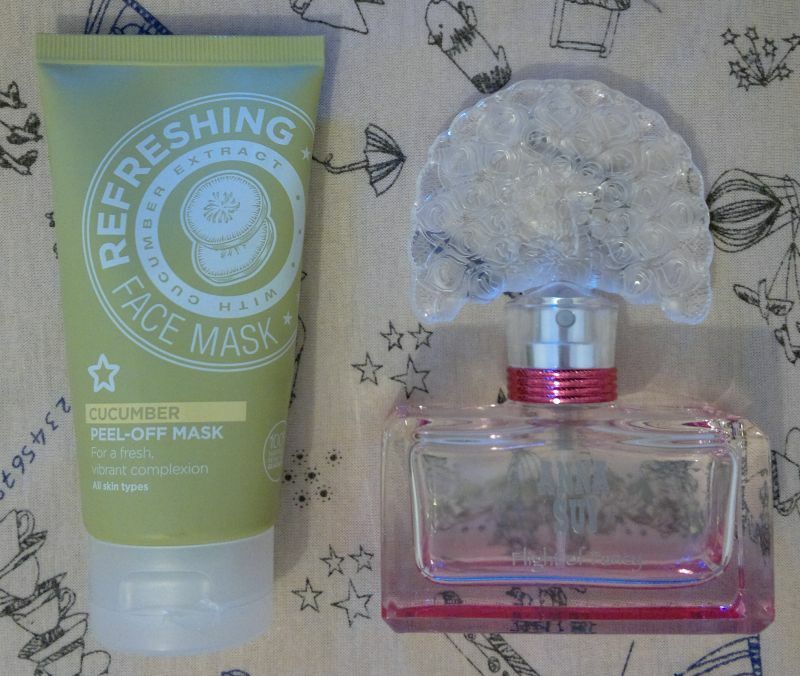 15 Superdrug Cucumber Peel-Off Mask – this is a nice face mask. I enjoyed using it. I have a back-up! 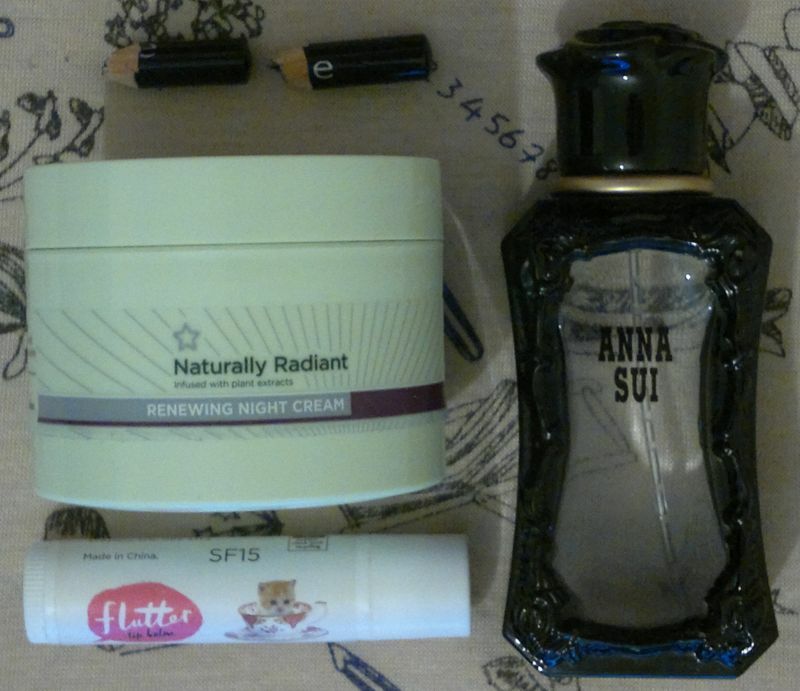 16 Anna Sui Flight Of Fancy – this is a lovely fragrance. I can definitely see myself picking it up again!